Anson Paul, who was last seen Solo, will be seen romancing Gayathri Suresh in his next movie titled Kala Viplavam Pranayam. According to director Jithin Jithu, Anson plays the protagonist in the movie, which is all about a romance. "Though the narrative of Kala Viplavam Pranayam is three-layered, it is the romantic thread that gets the lion's share in the movie. The whole movie revolves around romance, while art and revolution are weaved into the narrative," says the director. He also rubbished the rumours that Gayathri Suresh plays a politician in the movie. "Contarary to reports, Gayathri doesn't play a revolutionary or a politician. She is the lady love of the character played by Anson," says the director. 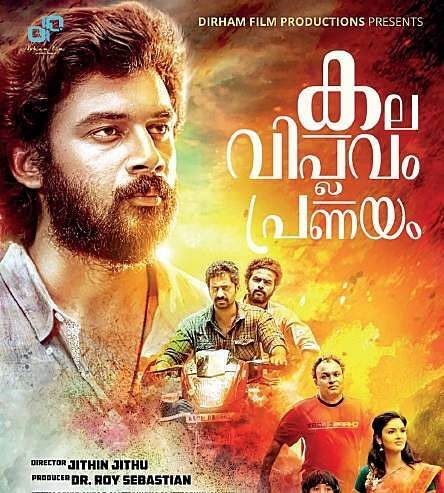 Kala Viplavam Pranayam will hit the screens in December.